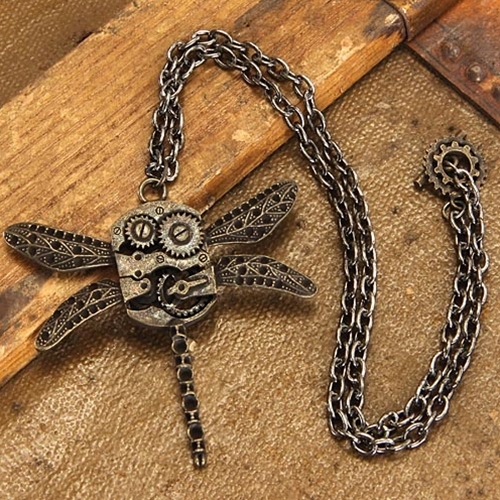 This steampunk dragonfly gears necklace is the ultimate blend of nature and technology. A beautiful dragonfly on first glance, closer inspection reveals a body made of layers of gears. Some would call it an abomination, others would call it the future. 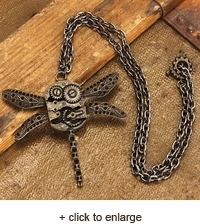 Regardless, it is a beautiful piece that goes great by itself or with one of our steampunk outfits.